Trekkie Fans Rejoice! Your dreams have become reality! May we present Yulia Tymoshenko. 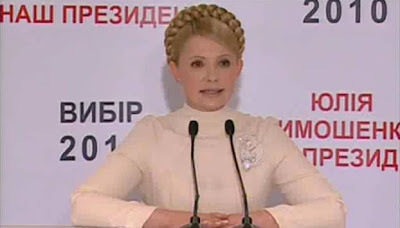 You probably think you have seen the Space Age looking Yulia Tymoshenko before. 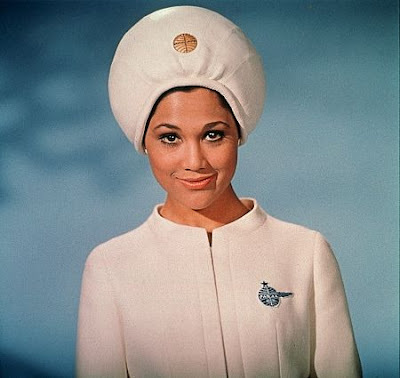 Perhaps you think you remember her from a set of Space 1999, Battlestar Galactica, Star Trek, Star Wars or '2001: A Space Odyssey' by Stanley Kubrick. Watching her makes us want to become overnight-citizens of Ukraine! She certainly looks like a female astronaut from one of these space age movies. Perhaps she could even be a sister of Princess Leia. But Yulia Tymoshenko is no space-age-astronaut-girl. She is the just the super stylish (and just ousted as of February 8th 2010) prime minister of Ukraine. Looking at this space age goldilocks girl with her incredible hair is like watching s space-age age sci-fi film from the late 1960's or early 1970's. And the clothes she wears may very well be a 1968 creation by Paco Rabanne or a André Courrèges, incredible, super mod space age fashion, but worn by an actual politician, today! You go girl! We absolutely love your looks! 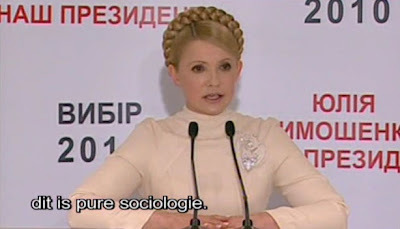 Yulia Tymoshenko' s double in Stanley Kubrick's "2001: A Space Odyssey"